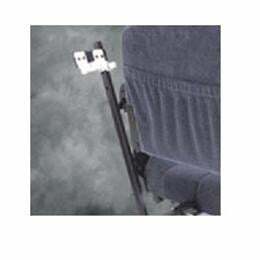 Mounts to rear of seat back. Compatible with most scooters and power chairs. To ensure your Forearm Crutch Holder fits, please specify your mobility equipment at checkout.